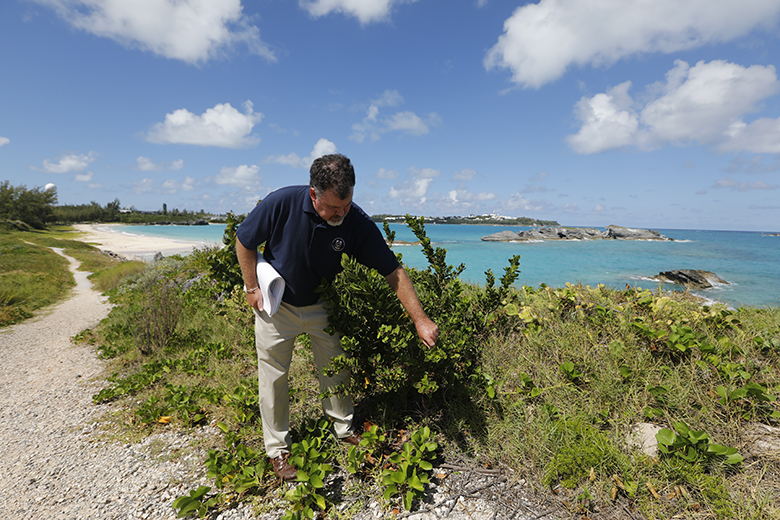 “Bermuda’s natural environment is its biggest asset,” according to Andrew Pettit, the Director for Department of Environment and Natural Resources. 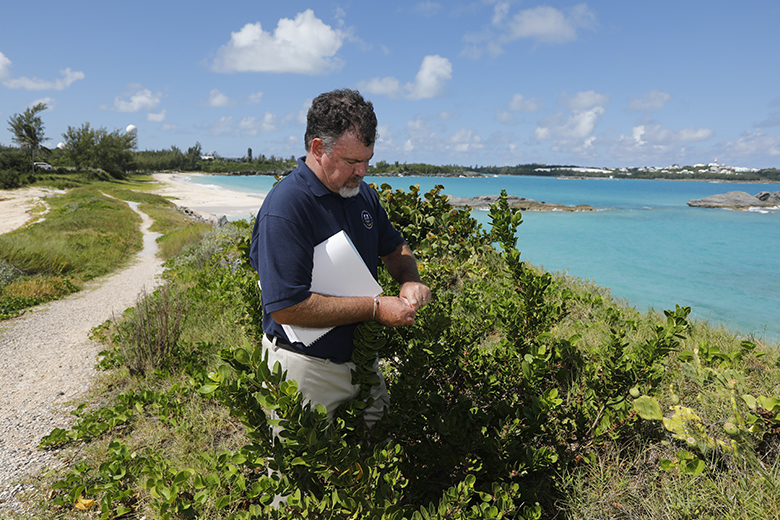 Mr Pettit has a full slate of responsibilities which include fisheries management, agriculture, recovery and protection of protected species, marine heritage, nature reserve management, pollution control management and oversight of the Bermuda Aquarium Museum and Zoo [BAMZ]. 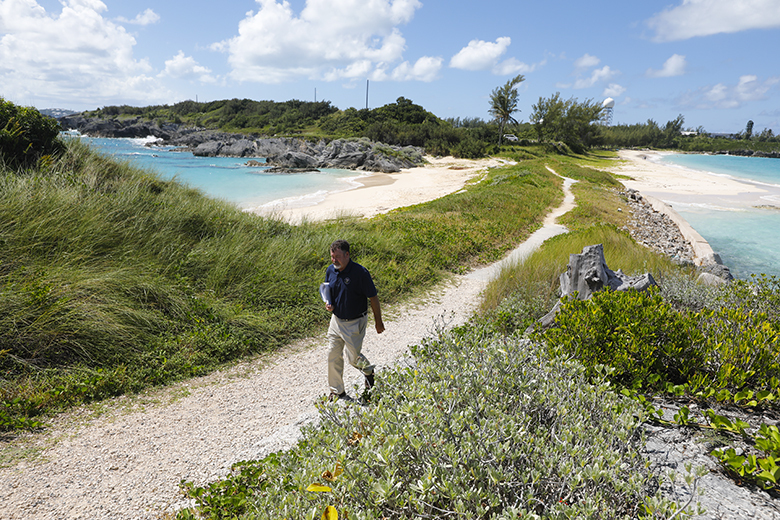 One such person is Mr Pettit, who has an passion for ensuring the protection of Bermuda’s environment, both on land and sea which always guides his work. Mr. Pettit, has worked for a variety of departments and Ministries during his public service career, including the Department of Planning, Architects section of Ministry of Works and Engineering, Department of Parks and Department of Conservation Services. He said he was fortunate enough to be able to pursue his career journey thanks to the Bursary Award programme. He recalls, “I started as an intern working as a Development Application Support Officer with the Department of Planning in 1990 and in 1991. I was fortunate enough to be awarded a Public Service Bursary Award to assist with the completion of my Degree in Urban and Regional Planning. “Each Christmas and summer I gained experience in the front office of the department and gained valuable insight into the process and procedures of the department and its inter connectivity with other departments. Mr. Pettit notes that during this time his interest in Landscape Architecture grew, and he decided to pursue his Masters in this field of study. 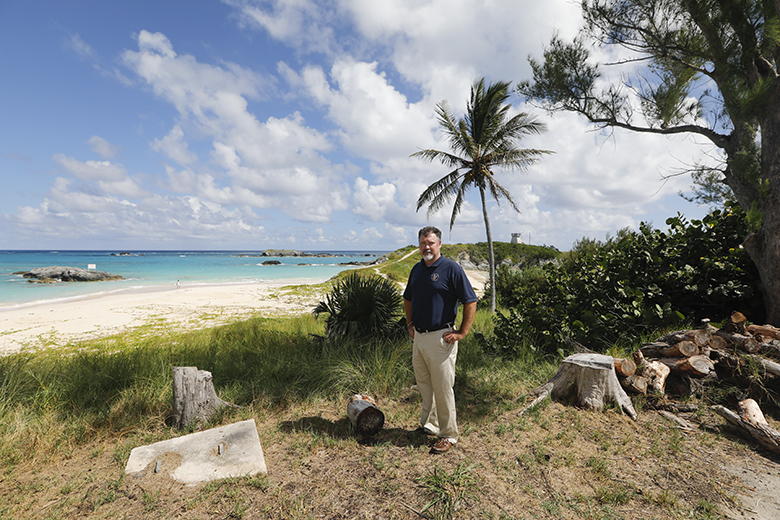 He spent two years in London gaining practical and professional experience before returning to Bermuda and joining the Department of Parks as the Park Planner where he has served for the last ten years. No two days are the same in the Department of Parks according to Mr. Pettit whose responsibilities include the creation of park management plans and playgrounds and facilitating landscape improvements and historic fort renovations. In 2010, Mr. Pettit was promoted to the post of Director of Conservation Services, and in 2016 he became the head of the newly created department of Environment and Natural resources. When asked what he believes is the most valuable advantage of joining the public services, he shares that he’s had the benefit of several mentors who provided guidance, encouragement, and advice throughout his career. Mr. Pettit concluded, “The Civil Service is one of the best training grounds and this training never stops. I continue to learn, every day, new skills and techniques. I hope that Mr. Pettit will research and bring to the Government’s attention and the people’s attention the potential dangers of bringing LNG to Bermuda as a source of future fuel for BELCO. It is really not a question of if an environmental disaster with this fuel will occur but rather when! Why can’t this department get involved with promoting renewable energy on the island as a sustainable way to preserve our natural environment?